Very nice post. Are familiar with jobo ( never say it spelled, but it’s pronounced ho-bo). They taste like a pear, and have a spiny seed in the center. No I haven’t heard of it. And one more thing. I came over to say thanks for your like on my “Ah, What a Convenient Word.” So, thanks. Your mango auction made me forget. I saw lots of mangoes in the store yesterday. Made me think of you. Wish you had been here to help me make a choice. I was not confident of getting a good one and I didn’t want to spoil my mental delight of the ones you grow! Now that is how to miss a good thing! But it’s the truth. With my weight problem, I wish I could be satisfied with all food in a virtual reality fashion. Did I use that word right? 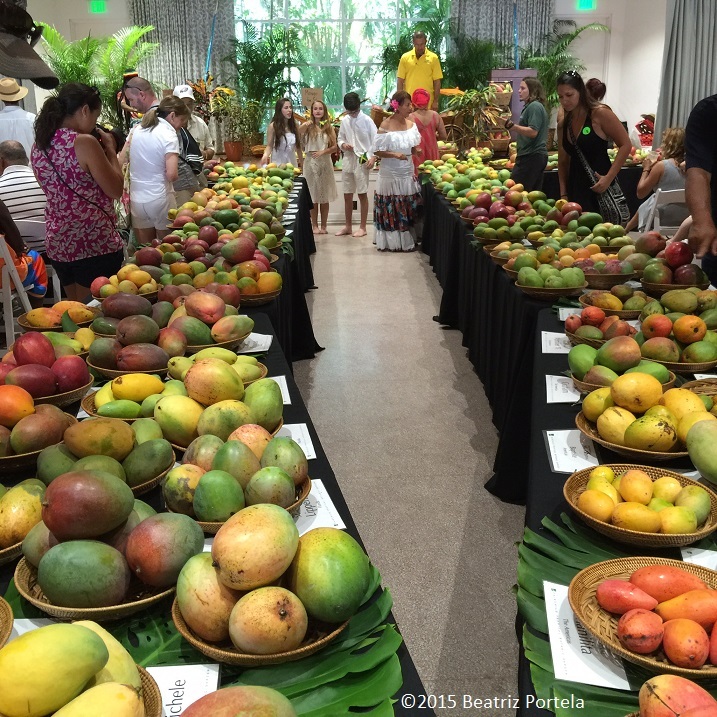 So many mangoes! Looks like heaven. In India the favorite mango is generally the Alphonso (or “haapoose”) mango. They’re usually yellow and shaped a bit like a paisley. (In fact, in Marathi we call the paisley design “amba”, which means mango!) They’re super delicious and they finally started importing them to the U.S. but they tend to be a bit small and fairly expensive. Still very yummy though so if you get a chance you should try one! You bring so much information and so many beautiful pictures on gardening. I’m just amazed! Enjoyed reading so much because it provided me a glimpse of an event I would never have otherwise known. Next time I slice into one of my favorite fruits I will recall this post. Thank you.